Whenever I travel, I always make sure to set aside some time, usually a few hours, to visit the local museums. And of course since I’m in Venice, it was a guarantee that I would be checking out the immense collection of works at the Vatican museums which is made up of art and sculptures collected throughout the centuries. Of importance to my Numenera anthology research is both the Renaissance productions as well as contemporary art. 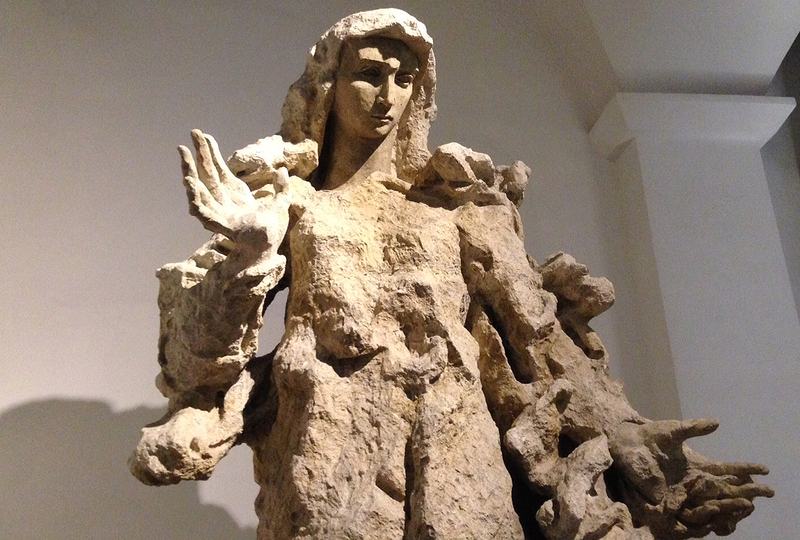 Lucio Fontana’s Madonna (pictured above) can be found in the Contemporary Art Collection. It’s a strange but elegant piece of work from the Italian artist who was perhaps better known to the art world for his theory of spatialism, an art movement he created which intended to incorporate color, sound, space, movement, and time into a new form of art. It’s a grandiose theory that fits quite well in the Numenera world. I’m playing around with the idea in one of the adventures for the Automatonera Anthology. In addition, Lucio’s Madonna has inspired some designs for an automaton that plays a significant role in another adventure. The design of the automaton is created by the direct manipulation of the metal frame using a heat source to bend the metals in different directions to create varied stylized looks that change daily. 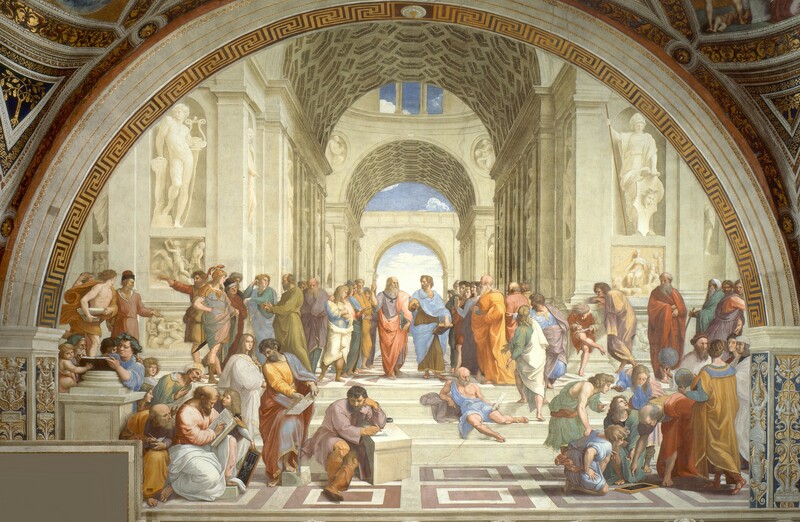 Painted in the early 1500s, Raphael’s The School of Athens gives the viewer an inside look into the spirit of the Renaissance, with the great Greek philosophers studying, writing, debating, and pondering knowledge of differing subjects. With Raphael’s piece in mind, I wrote a brief outline of a short story/adventure seed that surrounds a group of automaton philosophers talking about an odd attribute each one has. The attribute is a hand and an arm that radiates with blue and yellow energy, a stark contrast to the rest of the automatons’ synth and metal exterior. Some surmise that it’s an error, while others insist it was part of their design all along. It all culminates when the philosophers realize why they are debating this issue now after so many centuries of staying silent on the issue.